Browsink’s New Perfectly Shaped Website! We’re excited to announce the launch of a stunning new website for Brows Ink – a brows business based in Stanmore, Middlesex who specialise in eyebrow Microblading & Microshading (Powder Brows) as well as Lash Enhancement procedures. The new website boasts a clean design with intuitive and consistent site-wide navigation to help you find your way around with ease. It’s also fully responsive with mobile devices, making it easy to navigate on a wide range of web browsers and devices. 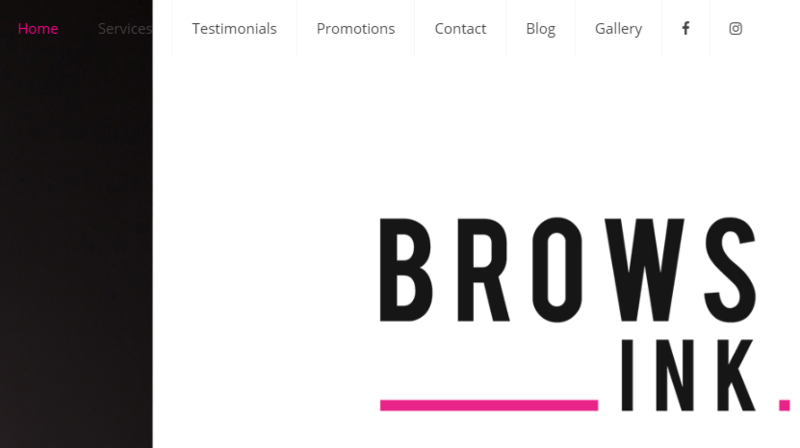 We’ve also incorporated Brows Ink’s social media pages into the website to ensure that the users & customers can remain up to date with the latest news and special offers. Want to get your eyebrows on ‘fleek’? Get in touch with Browsink by calling them on 07383 965050 or email them at [email protected] – additionally you can follow them on both Facebook & Instagram for further information. Interested in taking your marketing to the next level? Feel free to contact our friendly customer services team to discuss how we can help you! Call us on 0800 756 6800 or email us at [email protected]. If you need a website please contact our friendly customer services team today to discuss how we can help you!